Two Wreaths Are Prettier Than One! 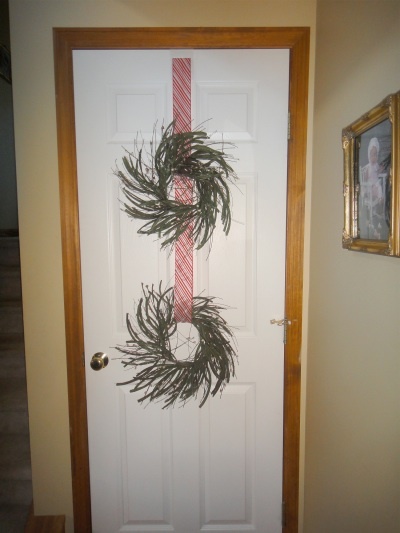 Crafty or not, hanging two wreaths vertically on a door is an excellent way to showcase your eye for design. 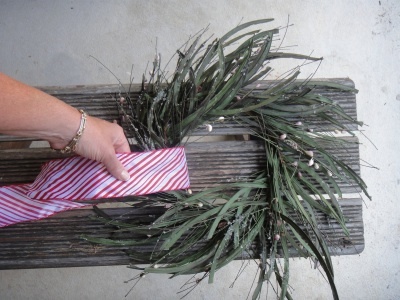 The easiest way to accomplish this look is using Wreath Pro, adjustable wreath hanger. Most over the door wreath hangers are only made to hang one wreath. Wreath Pro’s clever design and adjustability allows you to do much more than you can with an ordinary metal wreath hook. Wreath Pro includes a ribbon, a door hook and a wreath hook, an ingenious trio which is the key to hanging two wreaths together successfully. First, take the ribbon (included with Wreath Pro purchase) and loop it through the wreath that will hang on the bottom. Next take the Wreath Pro wreath hook and thread the ribbon through the slots. Adjust the wreath hook to the desired length. This is where the top wreath will hang. Then, weave the remaining ribbon through the slots in the Wreath Pro door hook. At this time hang the hook over the door and adjust the wreath position. That’s it! Easy and beautiful. Next time, we’ll share how to accomplish this on double hung windows.